Catios allow cats to run freely so owners can rest easy. 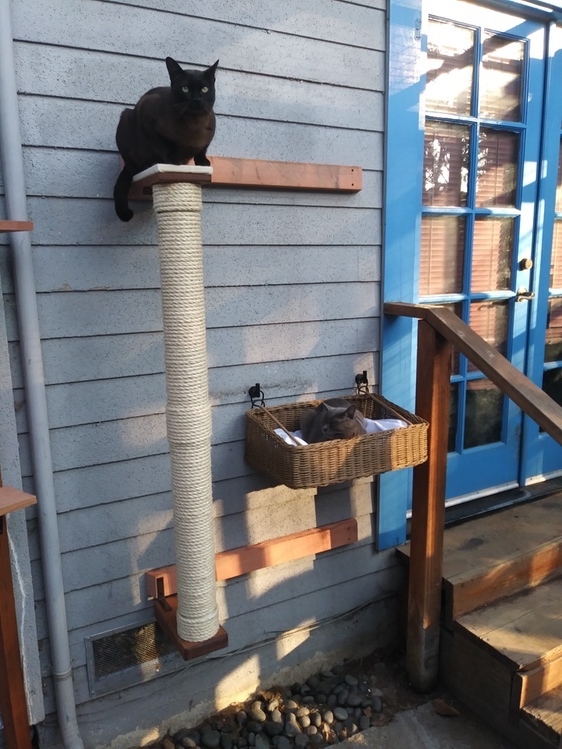 A catio is an enclosed space for domestic cats. We custom design-build exterior cat enclosures (catios), either attached or detached & interior design for the cats ultimate pleasure & safety. 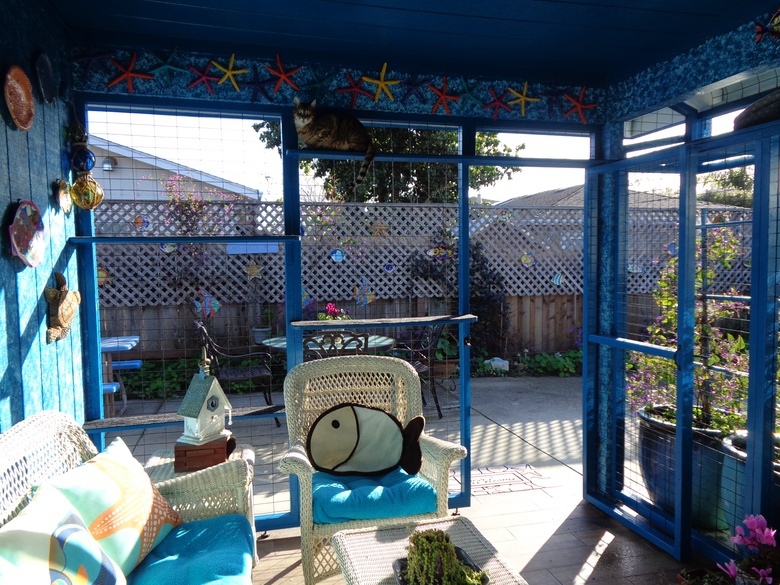 Catios are available in a variety of designs and sizes for a window, porch, patio, deck, garden or yard. From small and simple to large and luxurious. We also install pet cams, a technology that allows you to remotely interact with your pet, not just watch them.